Craving the perfect French macaron? Sara Naftaly’s Amandine Bakery offers a daily variety of Parisian-style macarons, alongside its many high-quality cookies, cakes, breads, and tarts, all showcasing classic French and English pastry technique. 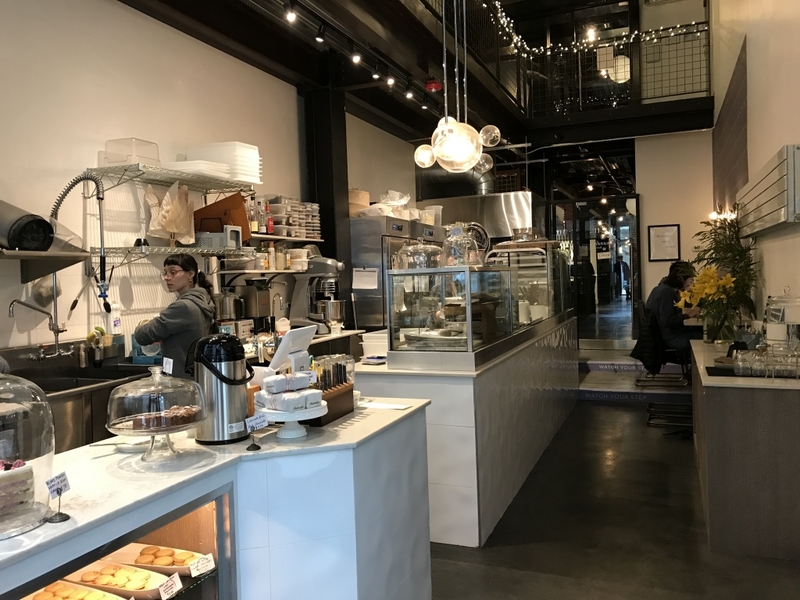 When you walk into Amandine Bakeshop, you’ll most likely find owner Sara Naferty in the back corner whipping up scrumptious treats. Open since December 2015, as part of the Chophouse Row shops, Amandine specializes in regional French and classic English pastries such as macarons, viennoiseries, scones, and cakes. Sara enthusiastically explains the art of making macaron gerbet, Parisian-style macarons, “[We] do our own thing. We took something complicated and decided to do it exceptionally well.” She begins with high quality, organic, and sustainably grown ingredients – sourcing local fruit from Grouse Mountain Farm in Chelan, buckwheat from Nash’s Organic Produce in Sequim, and walnuts from Mair Farm-Taki in Wapato. Sara likes to play with novel flavor combinations (e.g., juniper lemon, grapefruit shiso, buckwheat and honey caramel) as well as rely on classics (matcha with shaved chocolate, cocoa passion fruit, and pistachio). Sara doesn’t take shortcuts in the pastry making process. Though hand rolling and cutting all of her doughs is very time consuming, she notes that she’s in it for the joy of her work, and that the end result is well worth it. For Sara, opening Amandine meant creating a place to welcome customers with her delicious pastries and a sense of community. Now, after two years, she hopes Amandine has started to feel like a small neighborhood bakery where customers experience a sense of belonging. Be sure to check out the cool community activities Amandine offers like local art displays and their pop-up collaboration with “Comadre Panadería” to showcase authentic Latin American baked goods with proceeds supporting communities in need.